Thank goodness it's warm outside today - sort of.. You know it was 70 degrees here a couple weeks ago, then all the sudden the temp dropped to below zero and we got more snow! My skin has been getting very dehydrated again lately, even with the mid 40's to 50's temperatures the past few days - so I'm not only layering essences and serums, but also looking for hydrating sheet masks too! 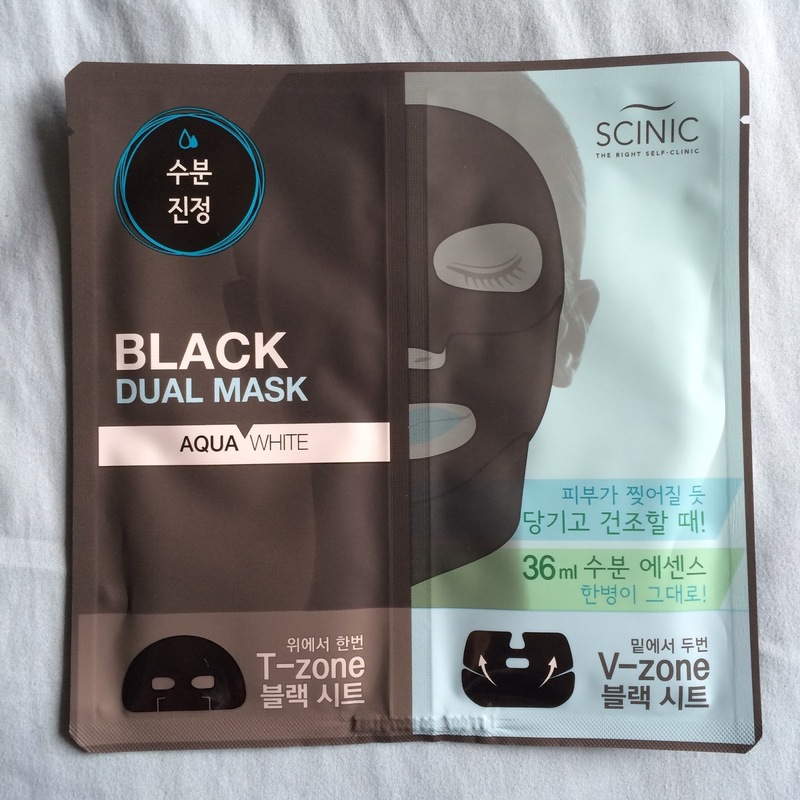 The Scinic "Aqua White" Black Dual Mask is a two-piece black cotton mask infused with charcoal, designed to hydrate, brighten, and detoxify your skin. 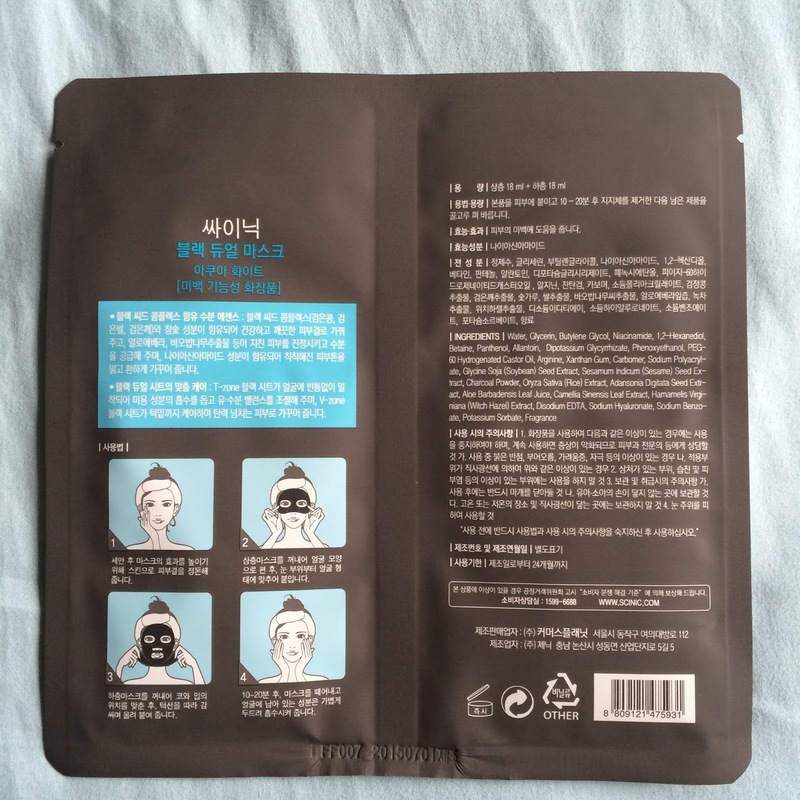 Do not use this mask if you are sensitive to butylene glycol, carbomer, niacinamide, or any other ingredients. 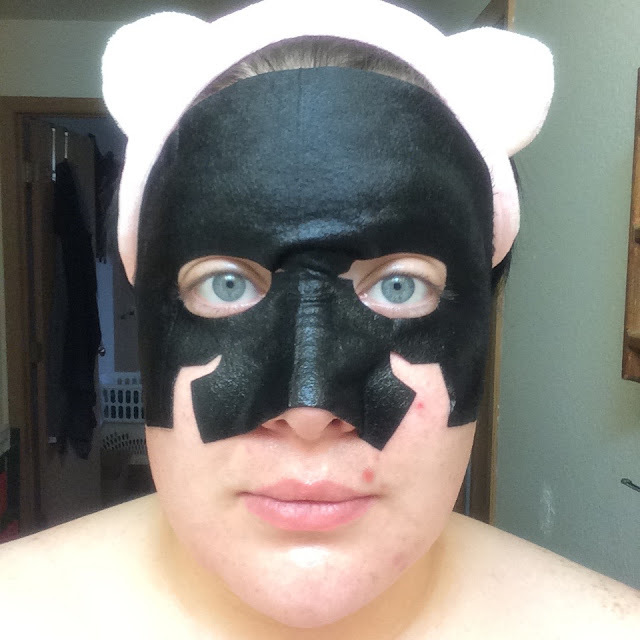 Something I love about black masks is that they're super thick - meaning they can hold onto a ton of essence - but still super soft and floppy, able to hug all the contours of your face. It's a seemingly rare combo, but something about the cotton used or the charcoal infusion itself allows this to happen. 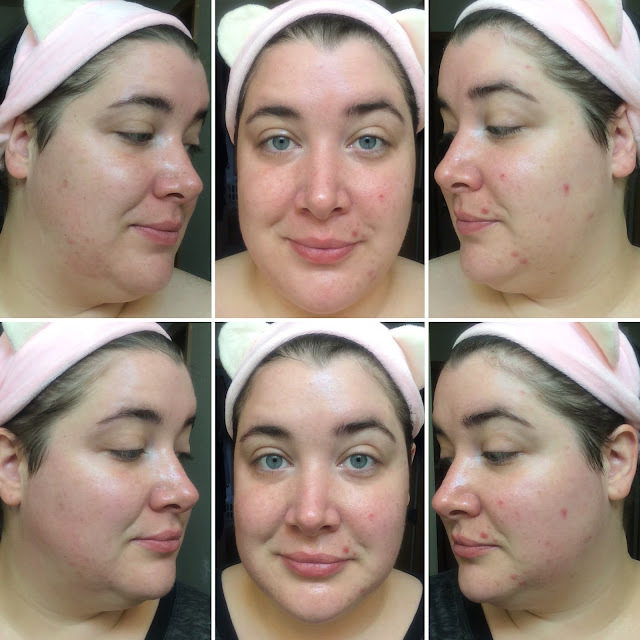 Upon removal my skin was brighter, and so very hydrated - I couldn't believe it! My skin was literally glowing afterwards. My skin soaked up a nice daytime cream afterwards and my makeup applied beautifully. I need more of these - they give my skin life! 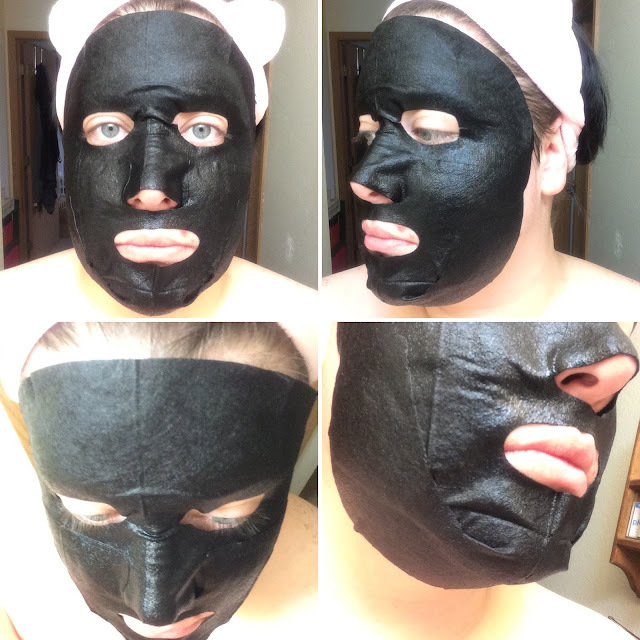 TL;DR: This is a black charcoal hydrating mask that clarifies and brightens. It hugs the entire face and v-zone, and feels so squishy and wonderful against the skin. It stays wet for an hour or more, and leaves the skin hydrated and luminous. A must have! This one sounds pretty awesome. I love how perfectly it covers every inch of the V-line, too. Your skin looked absolutely radiant afterwards!